Keeping up with the tradition of releasing new tweaks in the jailbreak store on daily basis, Cydia developers unleashed a bunch of new hacks that allow users to customize and personalize their iOS devices. 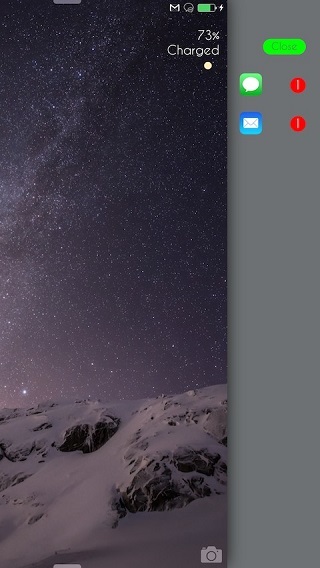 Today’s roundup of tweaks includes CleanLock, EditPasteboard, OopsLock and SwitcherDND. All of these have different functions, all of which focus on making the whole iPhone or iPad experience better. Read on to learn what these hacks do and how you get them on your jailbroken iOS 8 devices. The new CleanLock tweak removes the clutter from your lockscreen that is caused by notifications by putting them in a drawer. The drawer lists all the notification that you have pending and it can be accessed by tapping on the right side of the device. There are several options for this tweak such as ability for users to specify apps that can wake up device if a notification arrives for them, ability to dismiss notifications for individual apps or all of them at once and more. CleanLock is available for download in Cydia for $0.99. If you copy/paste text a lot on your iOS device then you would know that it can be tiring to switch apps again and again. The new EditPasteBoard tweak makes the process easier by enabling users to enter text they want to add to their device’s clipboard by simply typing it in a dialog box. You can access the EditPasteBoard dialog box anywhere by performing the assigned Activator gesture. Once you have entered the text you can hit the ‘Done’ button after which it will be copied to the clipboard and then simply paste that text anywhere you like. 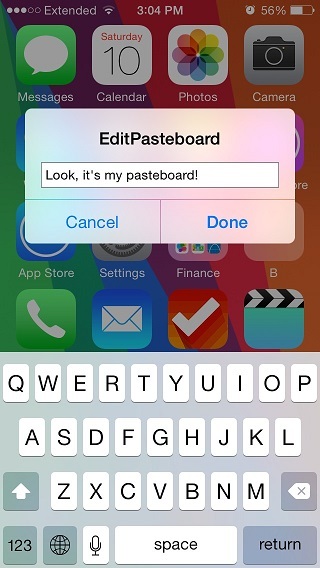 EditPasteBoard is a useful tweak and is available in BigBoss repo for free. It can be annoying when you lock your device by pressing the lock button and then realize there’s something you need to do on it. So you end up unlocking the device again by performing the slide to unlock gesture. Things get worse when you have to type in your passcode. The OopsLock tweak makes the situation better by allowing users to return to their homescreen by simply pressing the homebutton as it bypassing the lockscreen altogether. With this hack installed you don’t have slide to unlock or enter the passcode again when you lock the device, you can unlock it by pressing the homebutton provided you are doing it within a few seconds after you lock it. 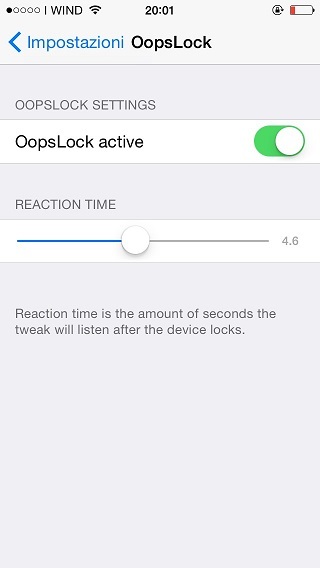 You can Oopslock tweak from Cydia for free. It runs on both iOS 7 and iOS 8 devices. SwitcherDND tweak lets users turn the Do Not Disturb mode on or off using the physical vibration button located on left side of your device. You can get SwitcherDND for free from Cydia.